1950s retro glamour conjures up thoughts of full skirt, cinched-waist dresses, sparkling diamonds, classic cars and glamorous movie stars. Throw in a dramatic colour and you have a fabulous wedding theme to have fun with! A 1950s wedding theme demands classic glamour. Take inspiration from old movies, books and icons from this fabulous decade. A dramatic red wedding colour scheme can be striking. Choosing subtle and clever ways to incorporate your strongest colour is the key to achieving chic style. Think flashes to complement but never overpower. Imagery top left, top right and centre copyright of Carla Thomas Photopgraphy. Styling by Alex Peploe at Postscript Events. 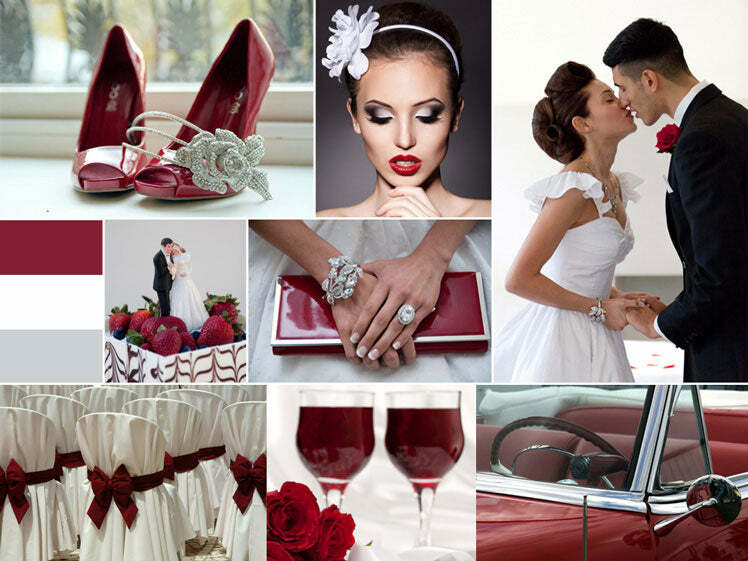 Follow Glitzy Secrets’s board Red Wedding Ideas on Pinterest.